Sports BOTAS shoes achieved a big comeback three years ago. Thanks to twoPraguedesigners these shoes have got a new attractive image and they are very popular nowadays. One of the designers says : “ We wanted to demonstrate the benefits of mutual co-operation between a firm and a graphic artist”. 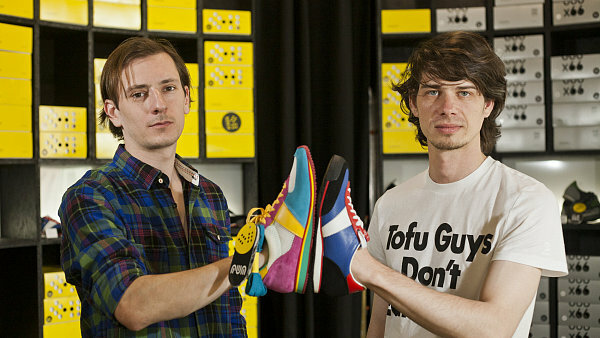 The designers of new BOTAS shoes in a brand shop.